It appears the future doesn’t look so promising for Golden Gate Fortune Cookie Factory, the last remaining fortune cookie factory in San Francisco. Owners of the 57-year-old establishment have lamented that the increasing rent and rising overhead costs amid fewer sales and factory visits are threatening the business’s survival, SFGate reports. Aside from being a business, the cookie factory also doubles as a museum, where visitors can learn about Chinatown’s rich history and culture. “We’re still alive because I can manage right now,” said Chan, noting that he is not sure about keeping the business afloat after the next lease renewal which is set to come up in two or three years. Chan also revealed how the business is struggling to keep up with increased overhead costs, including the rising price of ingredients and the city’s mandated $15-an-hour minimum wage for employees. 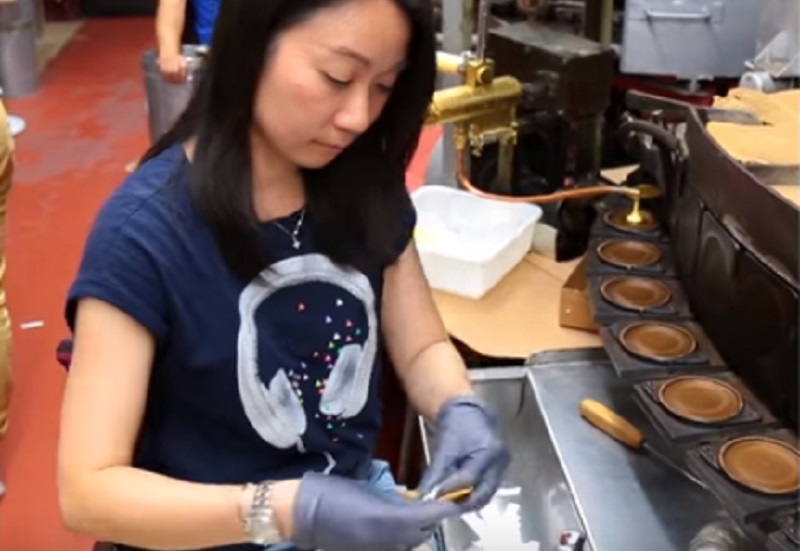 Golden Gate, which produces up to 15,000 cookie products daily, is open seven days per week. The cookies are all made by hand by two to three part-time employees. To finish orders, sometimes Chan and his mother help by working until 2 a.m.
Made from a secret recipe only Chan’s mother knows, Golden Gate’s cookies are folded by hand and then baked on machinery — the same way they’ve been prepared since 1952. Since their machines are too old, moving to a different location is an option for the business. Chan shares that the Golden Gate Fortune Cookie Factory has aimed to give everyone a taste of real fortune cookies. He said that despite the challenges, he is committed to keeping its mission.